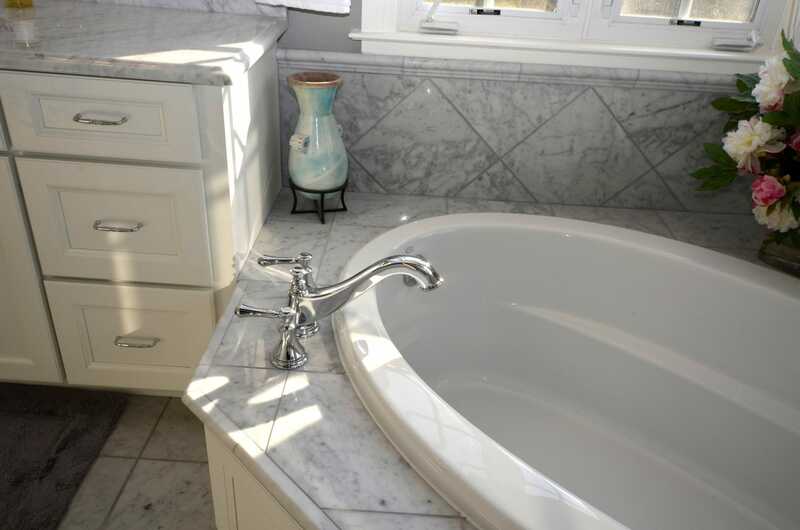 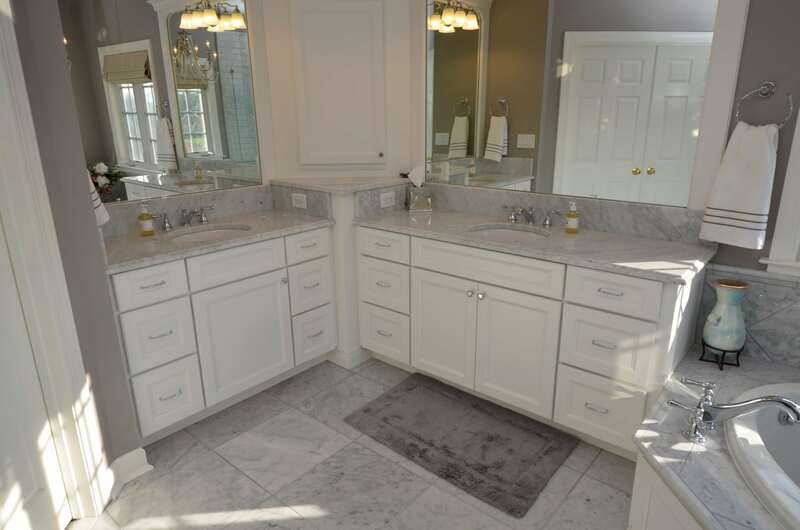 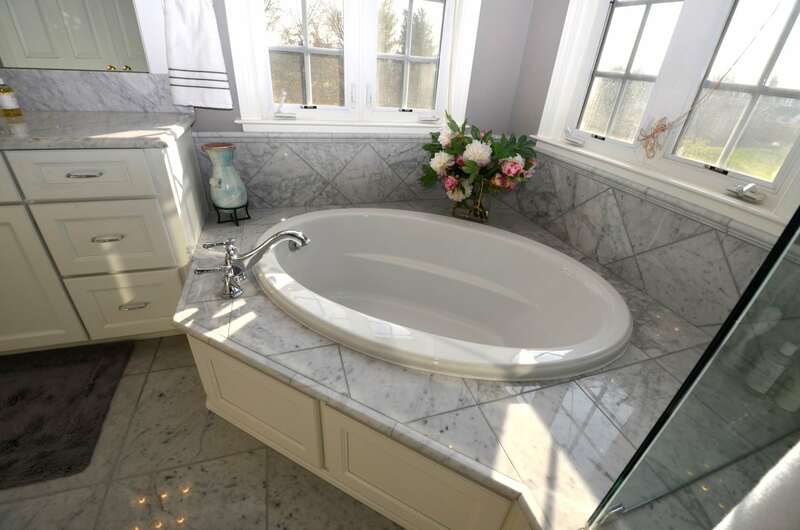 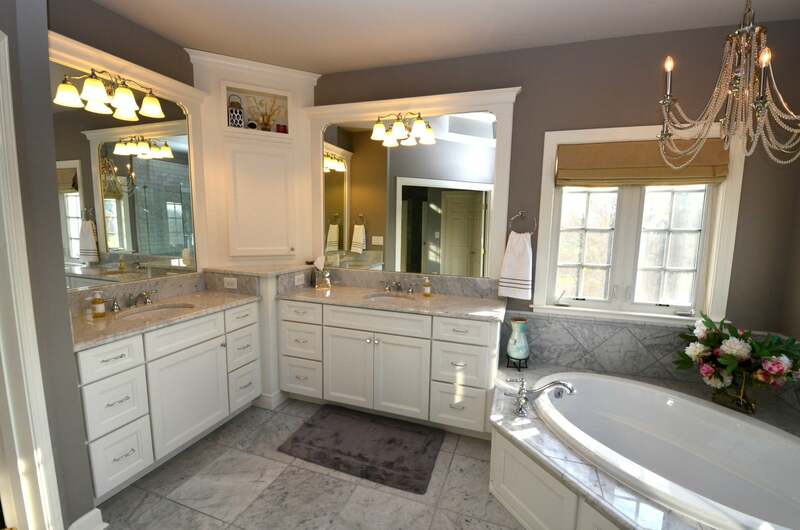 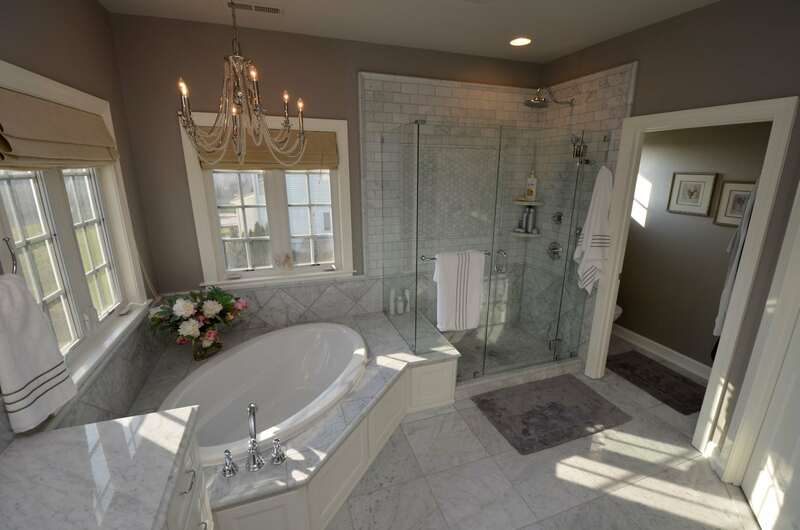 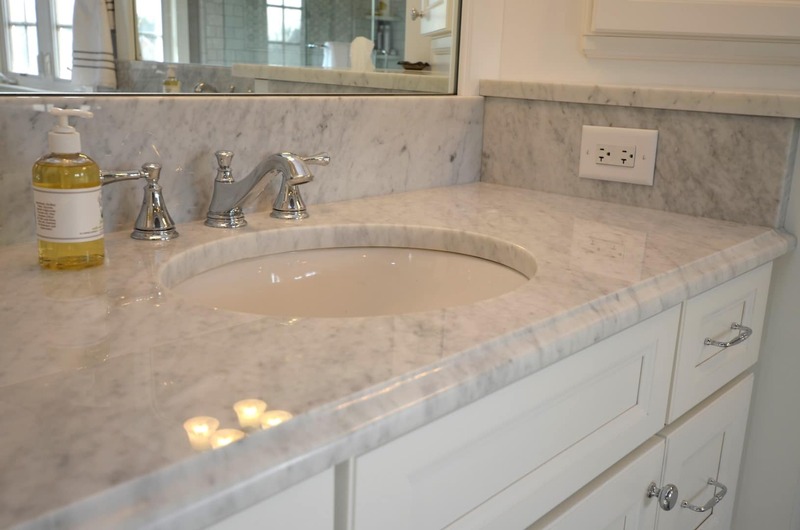 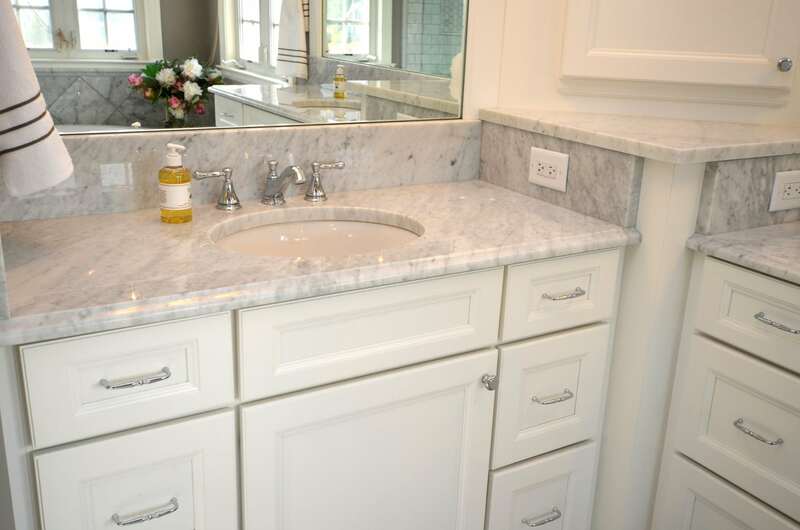 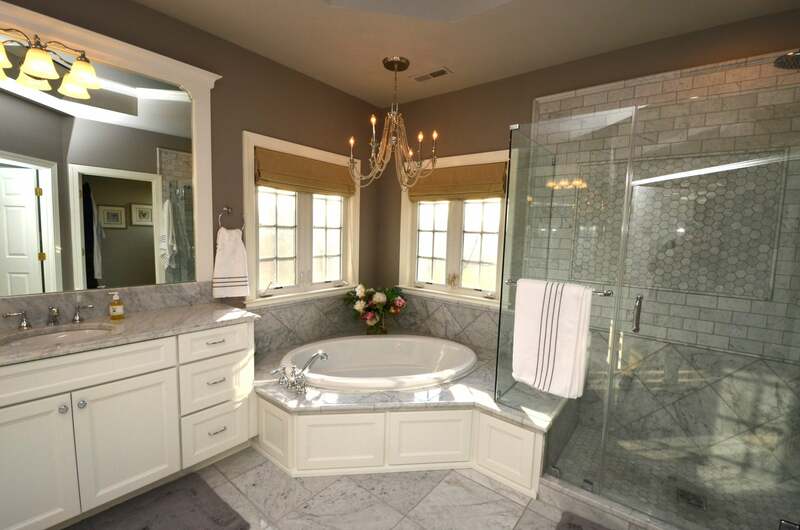 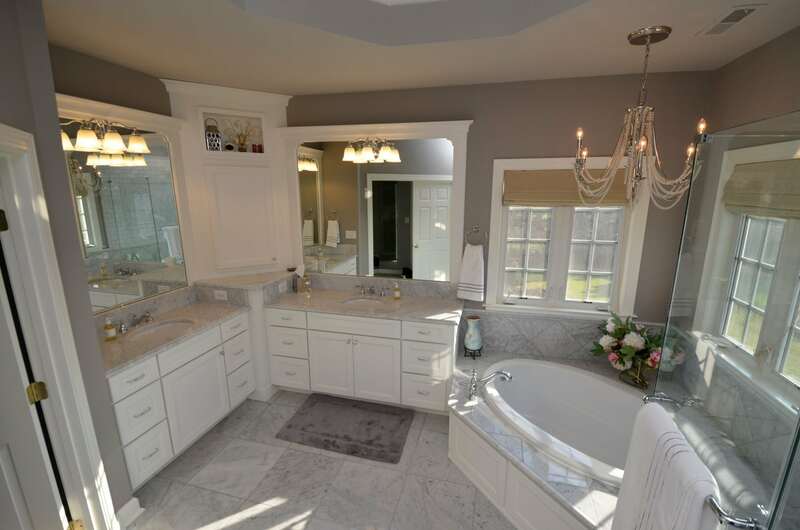 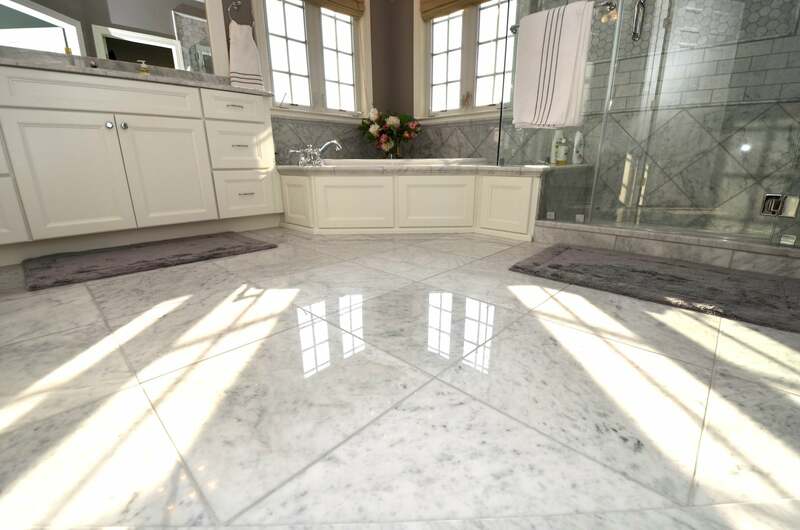 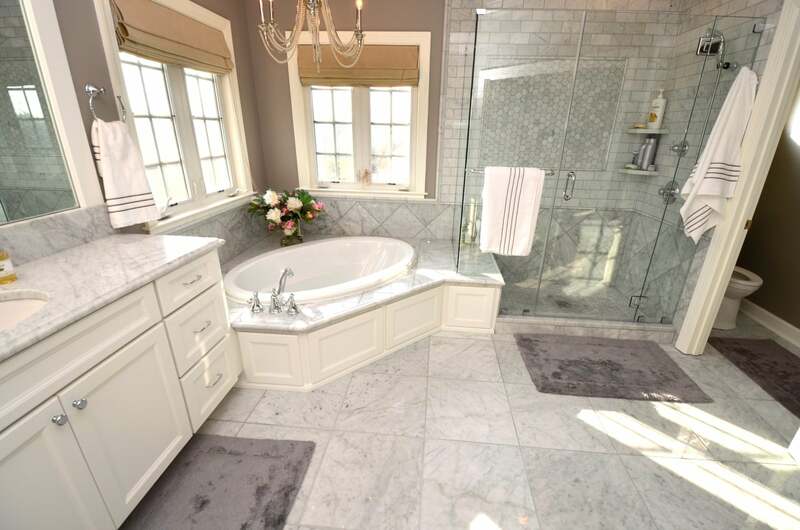 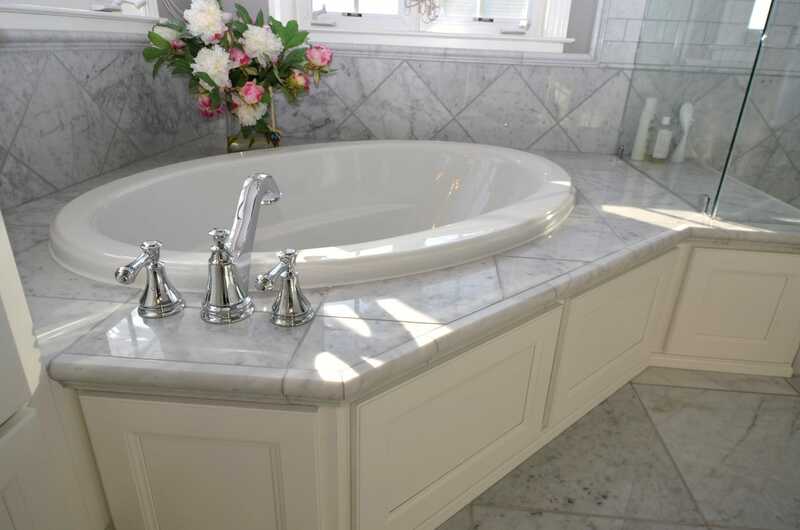 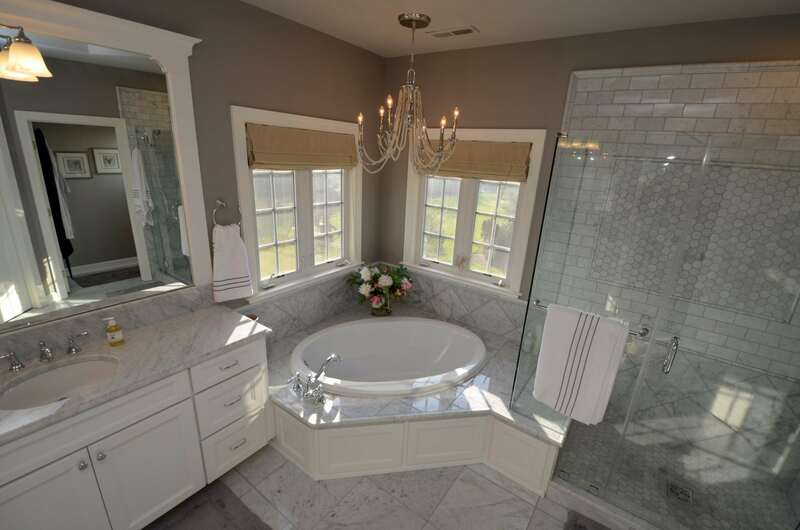 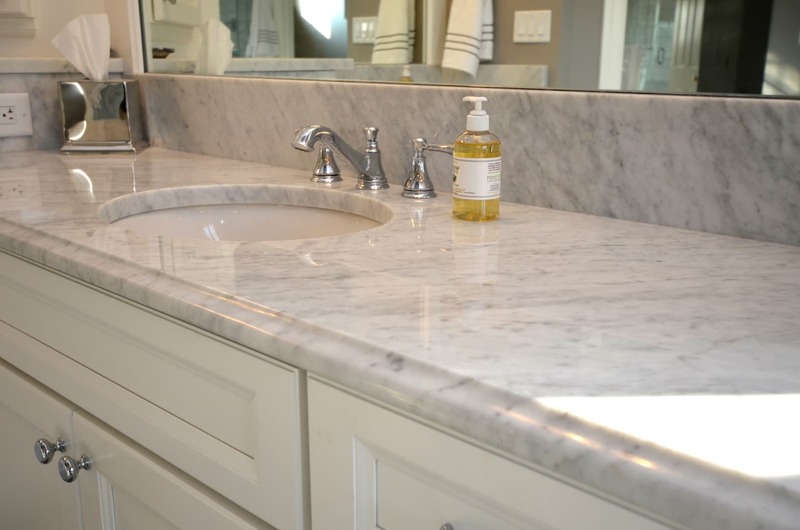 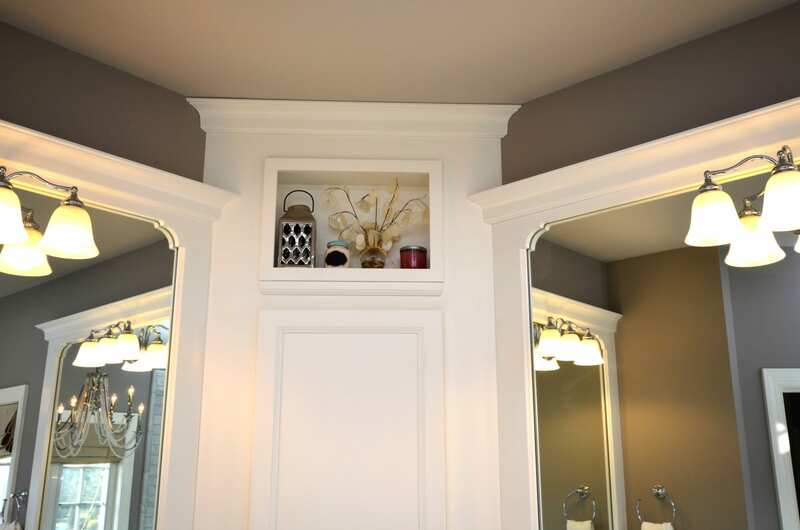 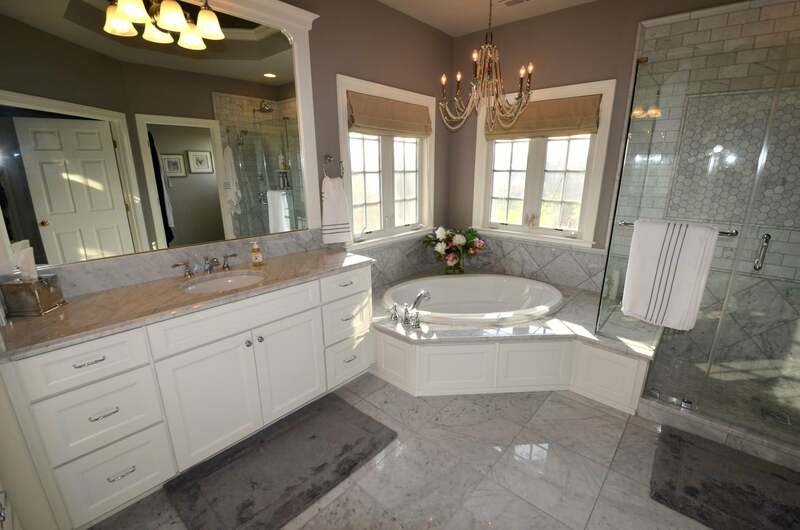 Collegeville Bathroom - Volpe Enterprises, Inc.
You can definitely have a tranquil experience in this luxurious master bathroom that will leave you feeling refreshed day in and day out. 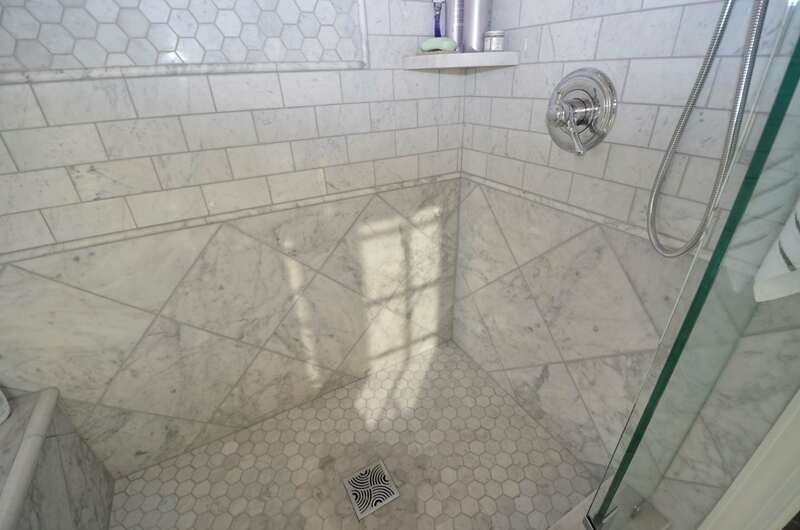 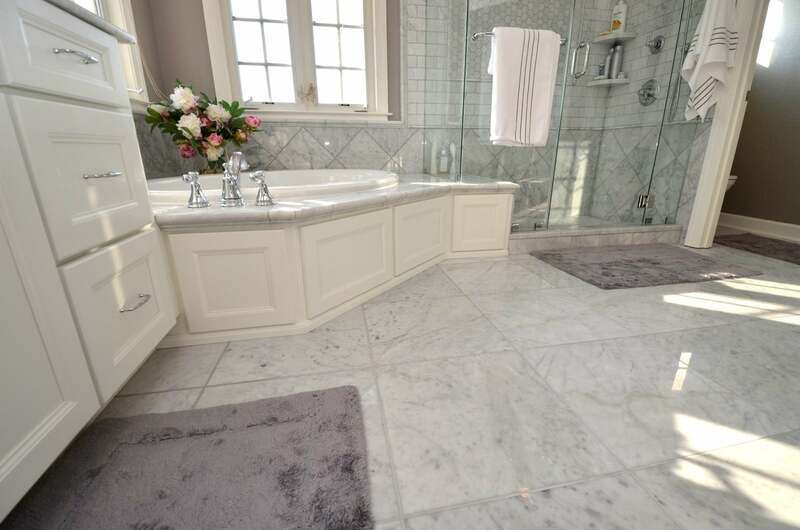 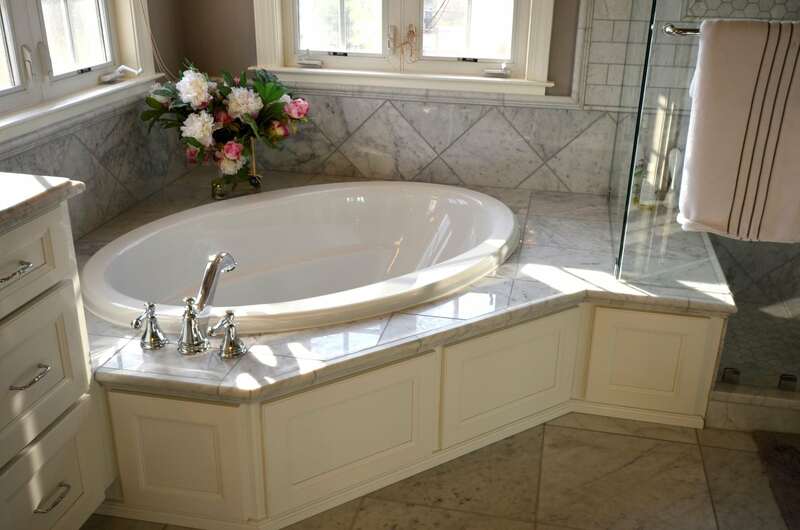 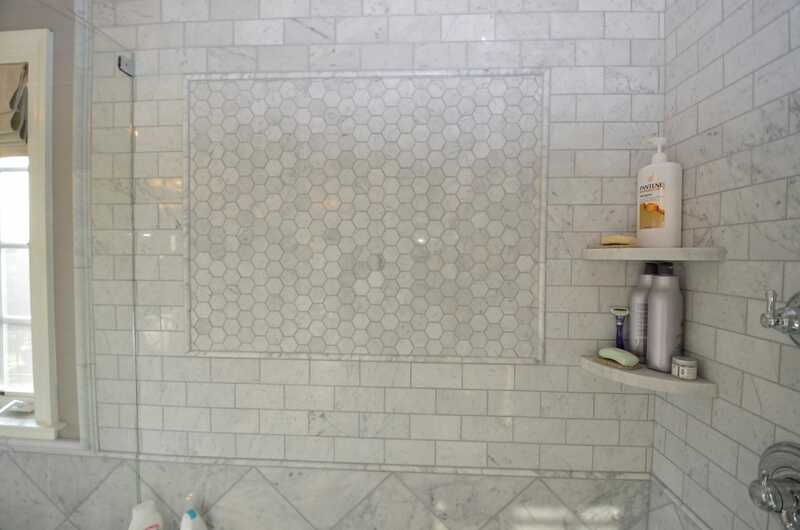 Marble tile surrounds the spacious soaking tub while white wood paneling and mosaic tile reads clean and classic against the eye-catching floor and ceiling elements. 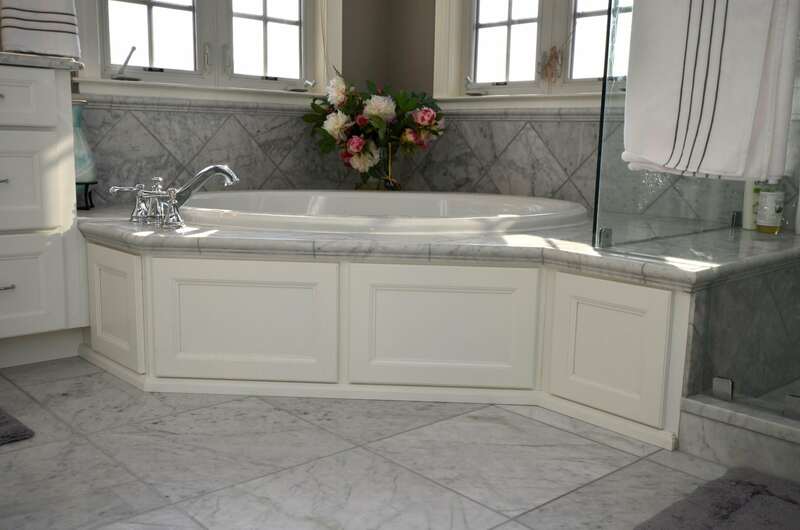 The his and her vanities truly give you the feeling of luxury with the clean white lines and marble tops, which are nicely joined with the rest of the room.